Prepare yourself for an adventure full of wibbly wobbly spacey wacey. 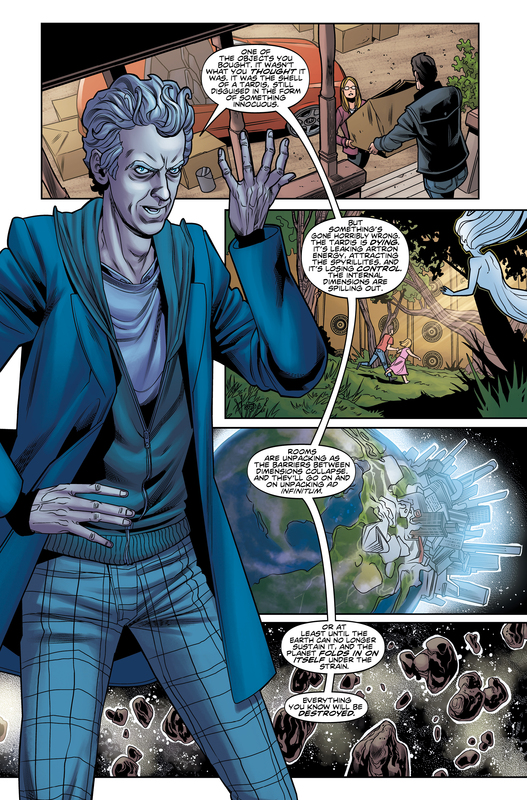 It’s TARDIS mania for The Twelfth Doctor in the latest issue from Titan Comics! Elsewhere, the Spyrillites are also back, still hungry for the vast quantities of Artron energy. While their villain status was a little downplayed last time, they turn out to be more of a threat by the end here. Not everyone will probably be convinced by the way they are disposed of – it’s a little unorthodox, to say the least. Nevertheless, it works and makes sense within the story’s logic. Now, if last issue had an air of Heaven Sent about it, then this is a little more Journey to the Centre of the TARDIS. While predominantly this is in terms of concepts, it should perhaps also be in terms of expectations. One inescapable niggle with this issue, at least at first, is an ongoing feeling of missed potential. The dying TARDIS is a brilliant premise, but it’s never really explored beyond the story’s location. We never find out where it came from or who it belongs to – which, considering one potential disguise for it, is possibly an opportunity too glaring to ignore. Maybe that’s an explanation for another time though. Once you look past what the story isn’t, you can appreciate it for what it is – which is a pretty solid conclusion to an excellent first half. There’s also a couple of moments where the pacing seems less consistent, mainly in how quickly the lost children are found. Of course, you can only squeeze so much into the pages of a comic book, but it feels a little too swift a solution. Thankfully, it’s easy to overlook these problems due to the amazing art and colouring work, as ever. There’s some genuinely breathtaking imagery in this issue – the dying TARDIS in bloom goes down as a particularly special highlight. It’s worth the price of entry for the visual treats alone. With the day saved and the universe once again free from total destruction, The Doctor drops Hattie back off at the Twist. Her one trip is up, but what a trip it was! This has definitely been an interesting and engaging two-parter from Titan Comics. Though part two isn’t quite an instant classic like part one, “Playing House” is well worth your time. Full of fun, wit, and eye-popping delight, this is a comic caper that’s definitely bigger on the inside. 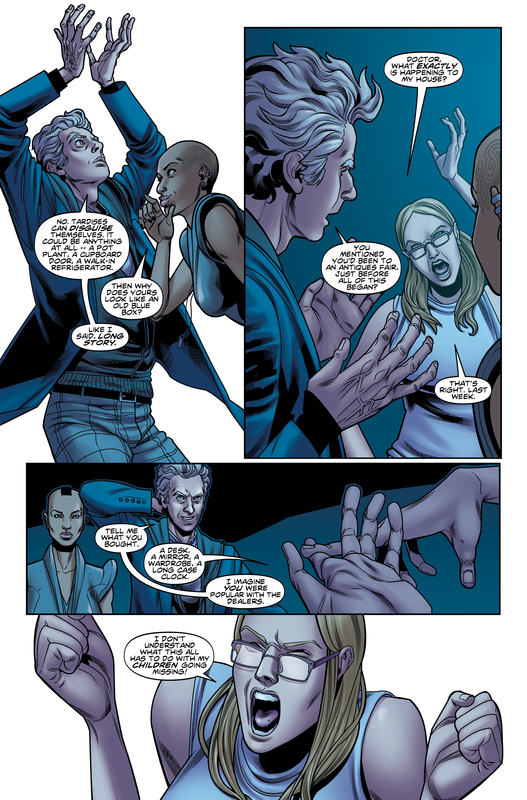 Twelfth Doctor #2.10 – Playing House: Part Two is in stores now.